Over the years our product offering and services have extended into other areas of home improvements as they often fall hand in hand with replacing windows and doors. We can also help you with some of the other projects you may have in mind to improve your home. SwiftGlide Integral blinds offer a great solution to control light whilst enhancing or maintaining the great looks of your windows or doors. With many style and colour options, your blinds will be manufactured to fit in perfectly with your decor and tastes. 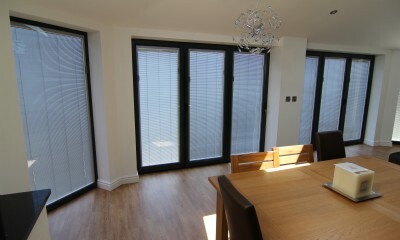 These blinds are manufactured to order and are ready for installation 4 weeks from the date of order. 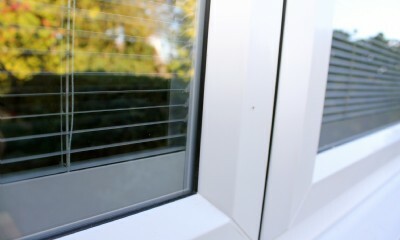 They are supplied within a double glazed unit for ease of installation. 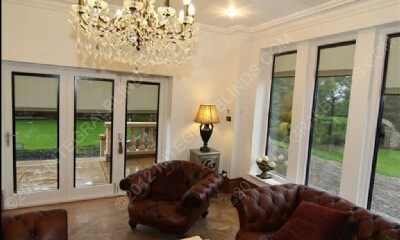 A fantastic solution offering elegance and style whilst giving you the privacy you need within your home. With an ultra low profile design, you can be confident of minimal obstruction to your view when lowered and in open position. With 14 colour options for slats and 10 colour options for the perimeter frame you can design a blind that fits in with your decor and taste. As a new generation of blinds, the tilting and raising functionality are controlled through two discreet colour co-ordinated roller magnets with built in magstops. Operated simply by sliding the magnet along the frame edges... no unsightly chords. No need for all that cleaning and dusting needed with conventional blinds, not necessary as they are supplied within the glazing unit. Any alergy sufferers in your household will also benefit from the dust and germ free installation. Your making an investment and we can demonstrate our confidence in the product you are purchasing with a full 10 year guarantee.